Television personality and author Gretchen Bonaduce put her home in the Los Feliz neighborhood of Los Angeles on the market for $4.998 million. 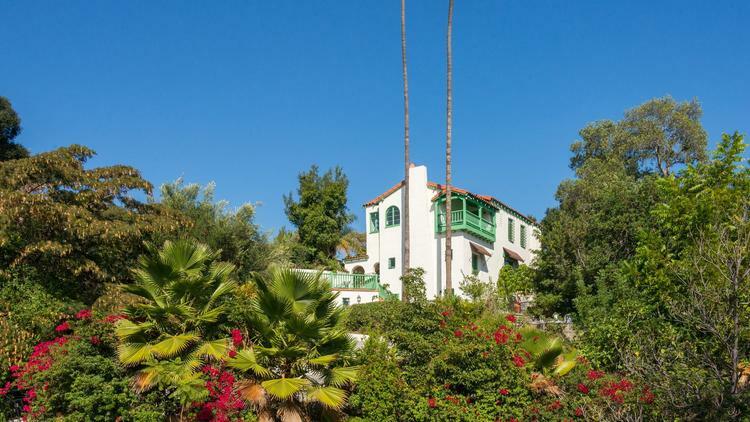 Trimmed in emerald green, the Spanish Andalusian-style home was designed by architect Harry Hayden Whiteley and completed in 1926. A rotunda entry with a sweeping wrought iron staircase, hand-stenciled and beamed ceilings and original stained glass are among the details. The three-story house has more than 6,500 square feet of interior that includes a living room with a fireplace, a library, a dining nook, four bedrooms and five bathrooms. The kitchen has been updated with a La Cornue range. The 1920s Spanish Andalusian-style home in Los Feliz sits behind gates on more than half an acre of grounds. A screening room, a game room and a wet bar salvaged from an movie set lie on the lower level. Arched French doors open to a loggia and a swimming pool. Covered and uncovered balconies and a large front terrace create additional living space outdoors. She bought the property with her ex-husband more than a decade ago for $2.6 million, records show. Jacqueline Tager of Sotheby’s International Realty holds the listing.